The Society of African Missions is an international community of Catholic missionaries who serve the people of Africa and people of African descent around the world. SMA stands for our official name: Society of African Missions. People often ask, then why SMA and not SAM? The initials refer to the name in Latin: Societas Missionum ad Afros. SMA was founded at Lyons (France) in 1856 by Mgr Melchior de Marion Brésillac. We celebrated 150 years in 2006. Where we come fromThe 944 members of the Society come from Africa, America, Asia and Europe and work in a number of African countries as well as Europe, the Americas, Asia and Oceania. The SMA members from Africa and Asia are our more recent foundations. African members come from Benin, Central Africa, Congo, Ghana, Ivory Coast, Kenya, Liberia, Nigeria, Tanzania, Togo and Zambia. Asian members come from India and the Philippines. American members come from Argentina, Canada and the USA. European members come from Belgium, Britain, France, Ireland, Italy, The Netherlands, Poland and Spain. 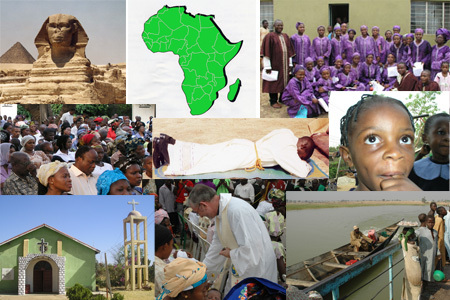 See below for further articles on the Society of African Missions and their work. SMA support the care and reintegration of the mentally ill in the Benin Republic.